If you ever thought that you couldn’t go for a long weekend break in ‘Big Africa’, then it’s time to reconsider your plans. 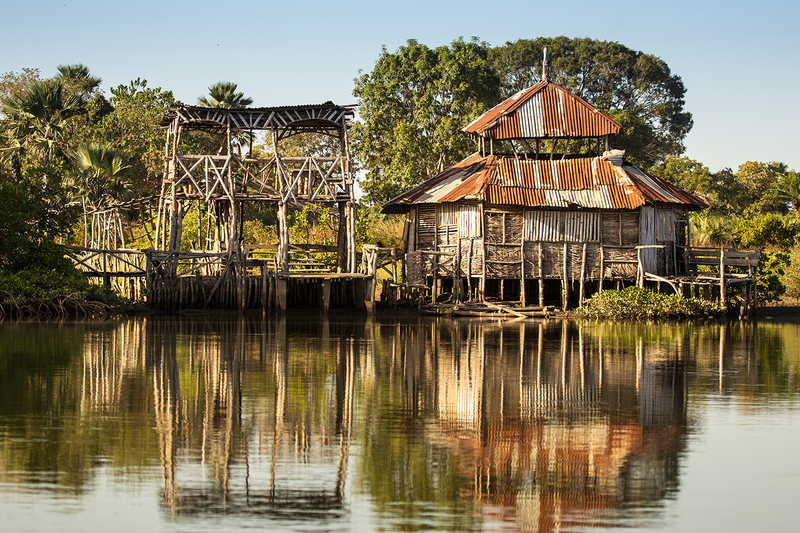 With The Gambia a mere six hours flight from the UK, you will arrive in equatorial paradise in time for your sundowner G&T, refreshed, jetlag-free and ready for action. And what awaits you – especially the bird watching – is astonishing, as Bay’s Nick Smith discovered. Deep in the Makasutu Forest on the banks of a tributary to the great River Gambia, I’m preparing to board a small canoe. In the couple of hours that follow, apart from being gently propelled through unspoilt mangroves while watching the sun dip over the Atlantic horizon, I am going to see one of the unofficial wonders of the world. We’re heading for Bird Island, which I’m told, for twitchers is one of the once-in-a-lifetime experiences. As the apricot sun slowly sets, thousands upon thousands of egrets swoop down through the salmon-coloured sky to gather to roost in a few small trees that bend beneath their sheer weight. 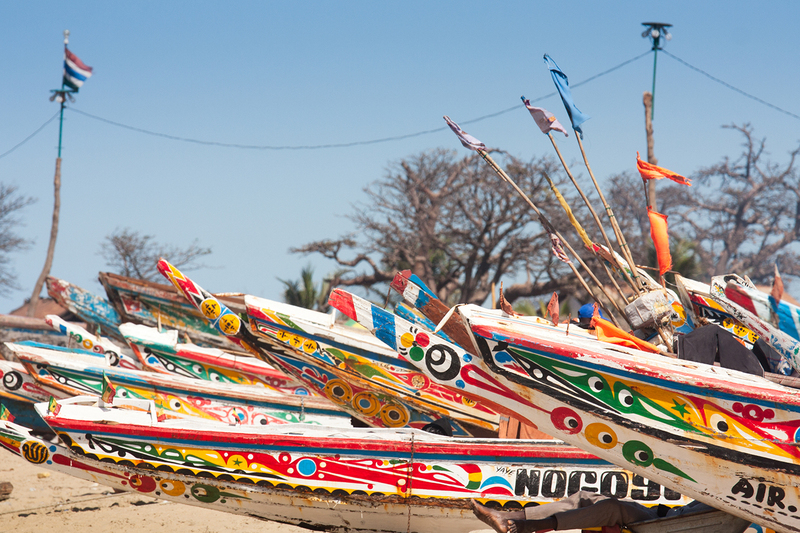 Welcome to The Gambia, where everything, it seems, is a surprise. Independence in 1965, the president said that the only reason he included the word ‘the’ in the republic’s new name (it was formerly known as ‘British Gambia’) was to avoid confusion with another African country, Zambia. The Gambia is the smallest country in Africa, and at 4,127 square miles is almost exactly half the size of The Wales, I mean Wales. It’s almost an enclave as, apart from the coastal seaboard on the Atlantic, the country is entirely surrounded by Senegal. It’s basically one long riverbank flanking the River Gambia that was once a main highway for the West African slave trade that existed from the 16th to the 19th centuries. In the river, there is an island called Kunte Kinteh, named after a central character in Alex Hailey’s blockbusting novel about slavery called Roots: The Saga of an American Family, that was to become a wildly inaccurate TV series in the 1970s, when you could get away with that sort of thing. While it’s easy to see why the tiny speck of land once called James Island (after King James II of England) underwent a tourism-friendly post-colonial name change, what’s not so easy to understand is why the authorities chose to misspell the name of Hailey’s character with a terminal ‘h’. But this is The Gambia, after all. It’s a place where mysteries such as this are hardly mysteries at all. Although this is sub-Saharan ‘Big Africa’ you won’t see any of the Big Five here. But don’t let that put you off, as the river is full of birds in such extra-ordinary variety and start-ling profusion that BBC TV presenter and ecologist Chris Packham calls the place Nirvana. At some point in our lives we’ll all feel the call of Africa, the sweeping savannah of Kenya, the endless deserts of Namibia or the lush emerald forests of Tanzania. But, for most of us, it all seems so far away and certainly too much of an expedition even to contemplate as a short break. But The Gambia is only a medium-haul, six-hour flight from Gatwick. And with no time differ-ence and a sleep-friendly flight schedule, you can find yourself sitting in the African sunset quaffing a G&T with hardly so much as a crease in your safari suit. 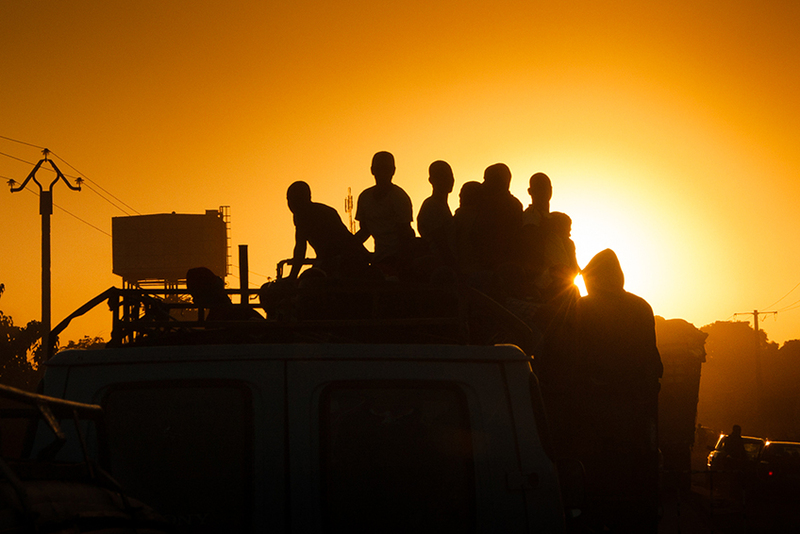 No jetlag, no visa and none of the usual hassle of getting to Africa. It’s that easy. That is apart from the local currency. 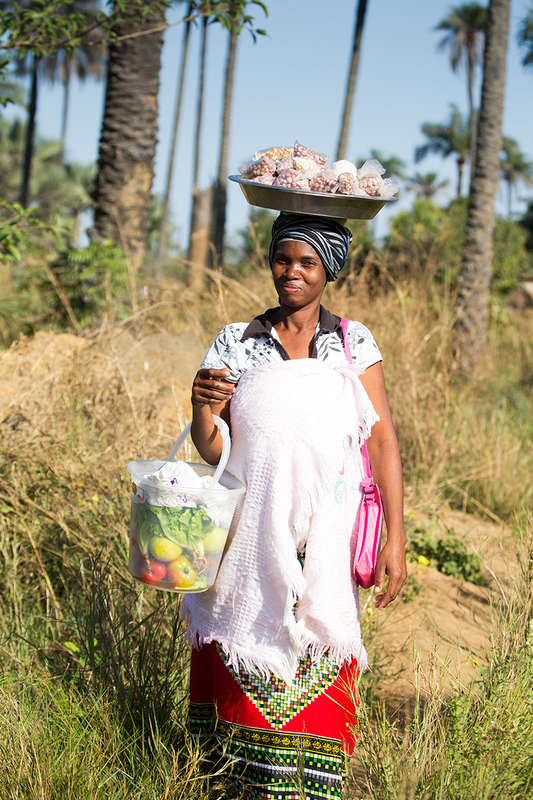 I unwisely changed a few hundred pounds at the bureau de change at Banjul – The Gambia’s only airport – and ended up virtually needing a wheelbarrow to trans-port my dalasai to my awaiting taxicab. The best place to relax with your sundowner is the Mandina Lodge. 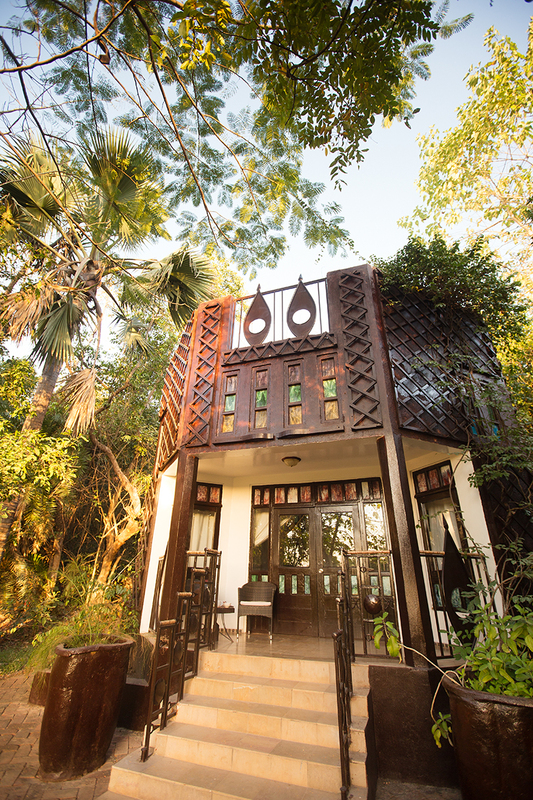 Tucked away deep in the Makasutu forest at the end of a long sandy road an hour’s drive from Banjul, the lodge is about as far removed from everyday life as is possible to imagine. Nothing prepares you for the extraordinary atmosphere of this haven of tranquility. An eclectic mix of surreal Gaudiesque architecture and traditional African style, it is frankly startling in the way that it blends harmoniously with the landscape, while standing out. My lodgings took the form of a spacious and airy turret-like construction in which a truly massive bedroom takes up the entire ground floor while a spiral staircase rises to a shady rooftop-viewing platform perfect for photographing birds. It’s an exciting experience living in the jungle with its strange sounds and smells, if only for a few days. Mandina is the brainchild of Lawrence Williams and his late friend James English who, decades ago started out with a vague dream of creating an eco-lodge somewhere in Africa, where backpackers could hang out and the environment could be protected. 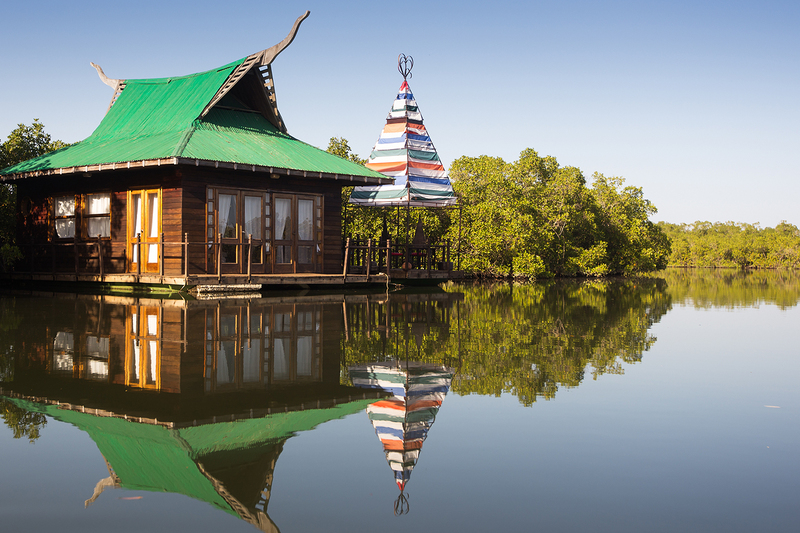 The men planted 15,000 trees and sunk more than 70 wells, and by the year 2000 they were building Mandina, a 5-star lodge quite like no other in The Gambia, or anywhere else come to that. With their engineering and architectural backgrounds, they put together a place that is undeniably special. Lawrence greeted me on my arrival with a bottle of ice-cold beer, and over the next few days I hear his story. A passionate environmentalist and an even more passionate traveller, he’s on a mission to visit every country and territory on earth. Over dinner we exchange more travellers’ tales while eating the local fishermen’s catch of the day, served with rice, vegetables and mangos harvested from some of the many kitchen gardens in the forest. There’s no set menu. The chef just prepares what’s green and bountiful. As one local guide told me, the banks of the river are so fertile that anything can grow here. With one exception. Wealth. He went on to explain: “It’s a pity you can’t grow money here, because if you could, we’d all be rich.” But instead, the people of the country that ranks 30th poorest in Africa alone, literally live on peanuts, which are the impoverished country’s biggest export. And you can see why. Once you’ve eaten the fresh Gambian variety you’ll never open a foil packet from the supermarket again. 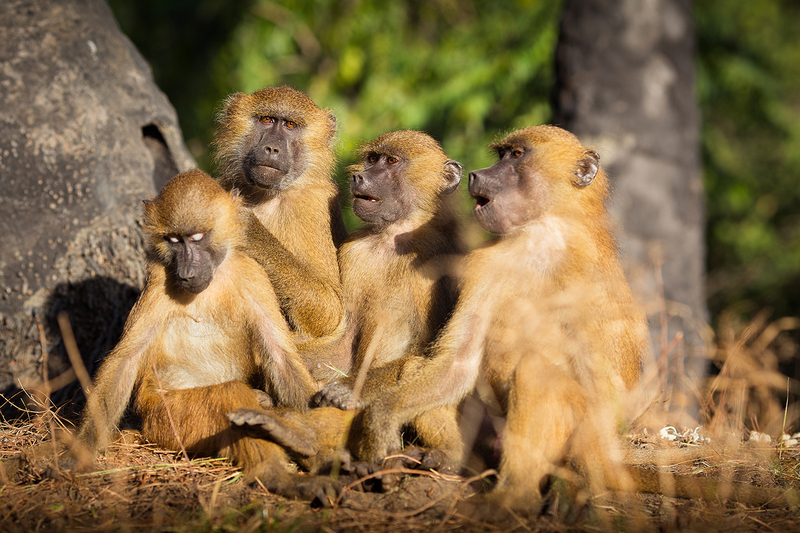 Because The Gambia is close to the equator, the sun rises early and I join a small group of photographers and hikers to take a forest walk in search of local baboons. Put off by experiences in more touristic regions, most experienced African travellers sometimes think of these primates as aggressive scavengers, thieves and nuisances to be avoided, barely wildlife in their own right. But here in the Makasutu Forest we’re worlds away from all that. 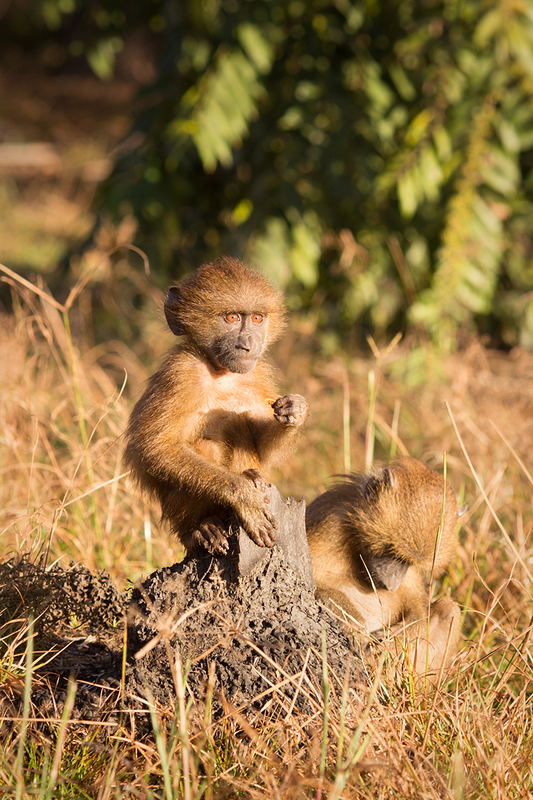 Basking in the golden shafts of early morning light, there is a colony of I’d say some 300 Guinea baboons, burnt orange and bronze in colour. Completely uninhibited by my presence, the adults go about their business organising the harem, while the juveniles half-heartedly wrestle or take things easy. I have never seen anything like it in the realm of this species of Old World Monkey, and according to my guide, neither will I again, unless I were to return to this tributary bank of the River Gambia. As with the penguins of Antarctica or the iguanas of the Galápagos, it isn’t that these animals are deliberately ignoring me. The troop is simply oblivious: they’re not afraid of humans because they don’t really know what they are, so you can walk among them photographing to your heart’s content. 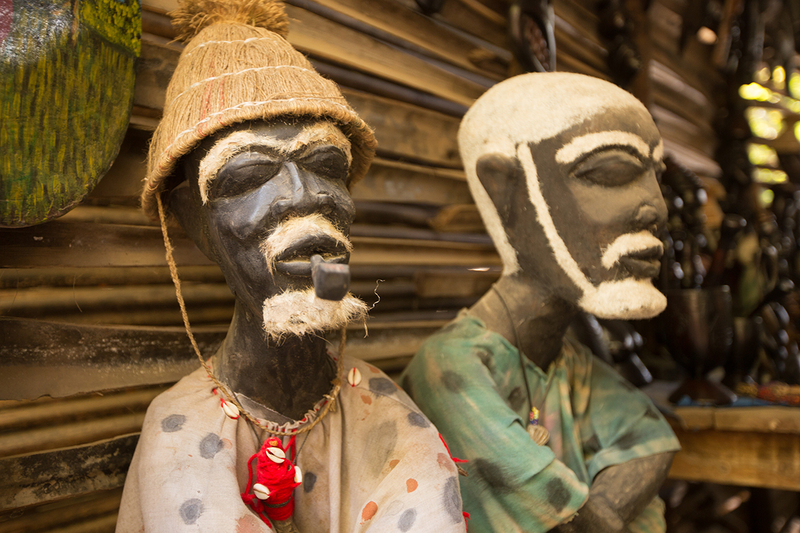 As wonderful as the morning trek to see the baboons is ­– and it will end up with a visit to one of those cultural centres where you can buy wood carvings (don’t worry, they’re not African hardwoods) – it’s only the warm-up act for the main attraction: The Gambia’s birdlife. Because the country is a ribbon-like riverbank that snakes downstream from Africa’s interior, and because of its proximity to the equator, it is one of the best natural environments on earth for birds. 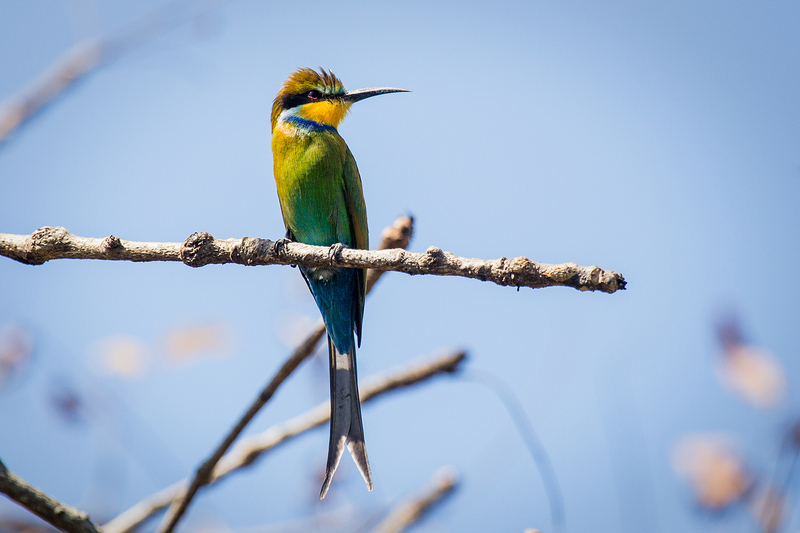 Experts reckon that there are upwards of 600 species here, and even on a short stay you can confidently expect to see at least 200, ranging from kingfishers to bee-eaters, vultures to eagles. You can experience the birds on foot or by canoe and, if you’re lucky, Chris Packham himself will take you out on safari. The presenter of Springwatch and Autumnwatch has visited The Gambia every season for the past two decades and is often at Mandina Lodge. But even if you aren’t lucky, you’ll do well with his unofficial second-in-command, a local guide by the name of Malik Suso, whose knowledge is breathtaking. Malik took me to the best spots along the bank (that bizarrely included landfill and sewage works) where I spent many hours clicking away with my camera. After a day in the field with Malik I was starting to think that this bird-watching business was easier than I thought it ever could be. 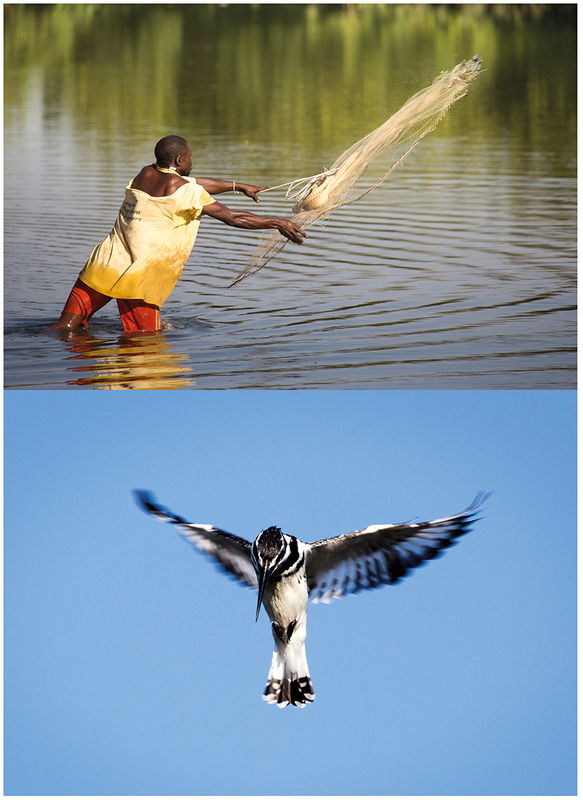 But be careful, because it is incredibly addictive and by the end of the day, as you watch the kingfishers hovering over the Kotu stream preparing to dive amongst the traditional net-casting fishermen, you’ll be reluctant to pack away the binoculars. 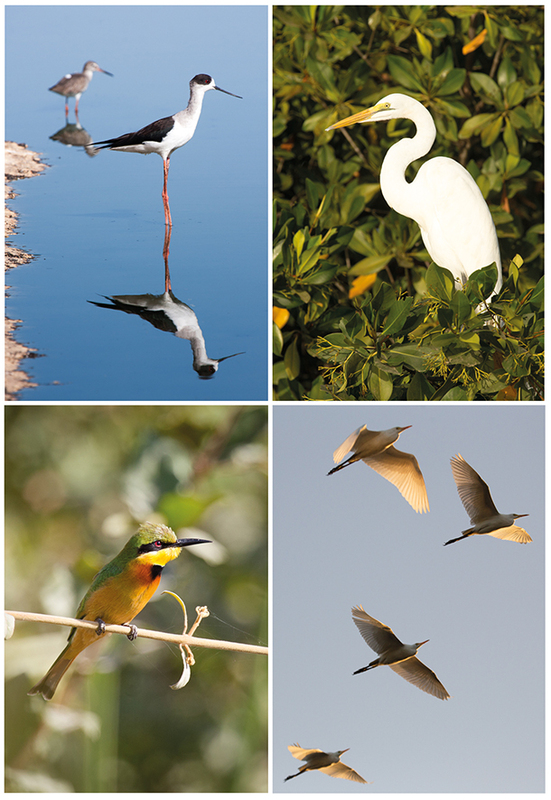 You’ll certainly never forget birding in The Gambia. For those requiring some sea air away from the jungle, there is the option of a more sedate beach-style break. A few international hotels around Banjul provide more conventional western amenities, which are okay for businessmen, package tourists and politicians. But unless you actually want to trough poolside cocktails along with an airport novel, there’s simply too much in the way of crashing Atlantic waves and golden sand elsewhere to get bogged down in the clichés of a Mediterranean-style resort holiday. 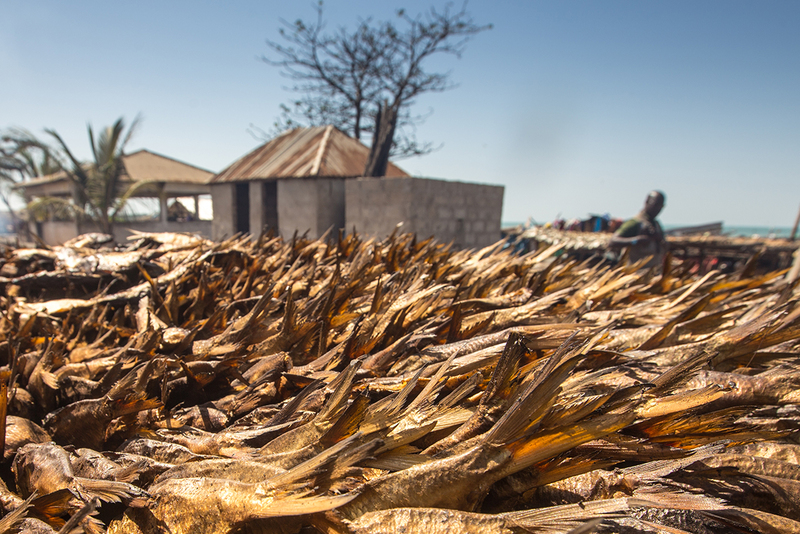 Down the road from Banjul, close to hand – everything in The Gambia is close to hand – there is the extraordinary Tanji beach, which is the home of the country’s artisan fishing industry. Vast swathes of shoreline are given over to multi-coloured boats, fish smokeries and the apparent wild confusion of an old-fashioned and extremely busy fishing village. Before long, my weekend break in Africa is coming to an end. But there’s still time to reflect on the simple idea that a week-end break in ‘Big Africa’ is not only possible, but one of the great travel experiences. As I made my way home from Banjul, the flight disap-peared in the time it took to write a few postcards home.